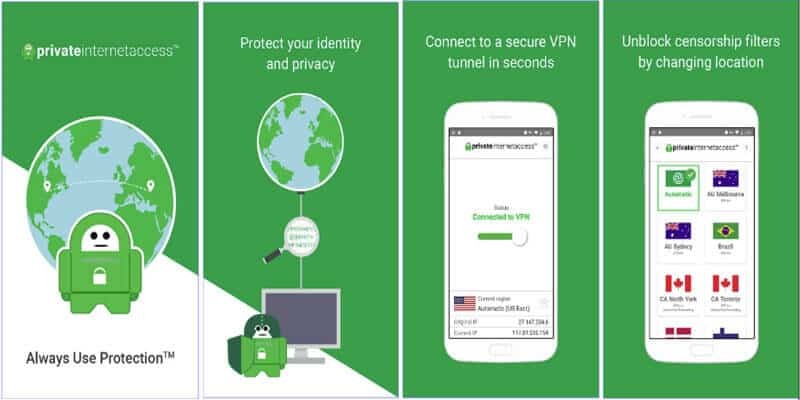 Private Internet Access is a USA based VPN provider which has a massive following due to its low pricing, but in many cases, a cheaper service generally means there is a cutback in services somewhere. Does PIA fall foul of this scenario or does their package give you everything you need? That’s what this PIA review wants to find out. The good news is PIA fully supports torrenting, so there are no worries your connection will be seen if you’re downloading through the night. The bad news is, US Netflix is an entirely different matter. On some occasions on some servers, it could connect, but none of this was reliable. If PIA can rectify this situation remains to be seen, but it is safe to say PIA doesn’t work with Netflix. PrivateInternetAccess has one package with varying sign-up options. Like many, the longer you sign up, the cheaper the package becomes. Before looking at the prices, PIA offers a 7-day money-back guarantee. Payment options are also well catered for, and PIA accepts major credit cards, PayPal, and other online payment systems. Users can also pay with “lots of different gift cards,” these include Starbucks, Bestbuy, and Walmart. Cryptocurrencies can also be used, but the ones they accept has changed, so it is worth checking beforehand. Yearly $3.33 Billed as $39.95 Annually. 2 Years $2.91 Billed as $69.95 Every Two Years. 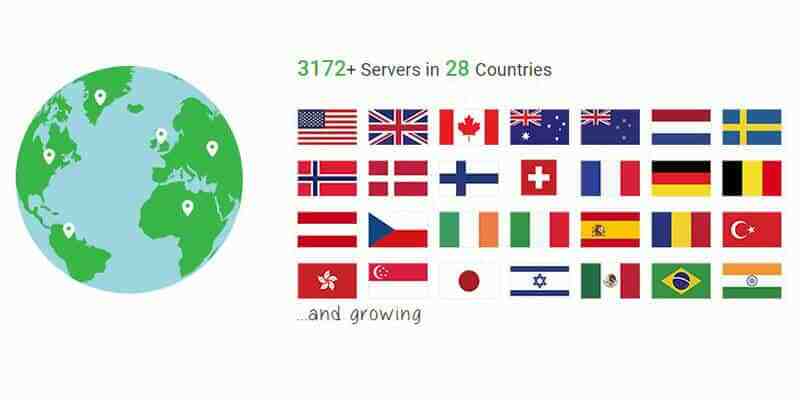 The virtual private network of PIA consists of 3152+ servers in 33 countries. This is consistent with other market leaders in server numbers, but the number of countries supplied is a little lower. A PIA download supports the following protocols: OpenVPN, IPSec/L2TP, PPTP. If you take out PPTP because it is outdated and insecure, users are left with only 2 protocols to choose from. Default encryption is AES-128 and RSA-2048, but in the settings, you can change this to AES-256. It isn’t the strongest by default, and some other VPN’s do use RSA-4096 by default. The closest thing PIA has to a DNS service for users to use is their new feature. MACE is a simple DNS based filtering system which aids in blocking associated ads, malware and trackers. It is simple in operation and is merely a blacklist of domains which prevents access. 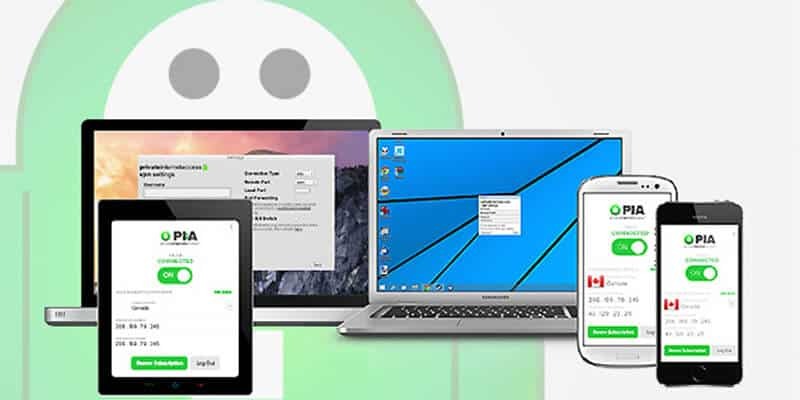 The Private Internet Access VPN supports a wide range of platforms. It has compatible client software for Windows, Android, MacOS, iOS and Linux, it can also be directly installed onto Tomato or DD-WRT routers. It also comes with manual set-up guides for a number of other devices. PIA allows 5 devices to be connected simultaneously. If you install it onto your home router, this counts as one. This would allow a higher number of devices to connect. A Private Internet Access download gives private and secure connections, but the company itself is based inside a 5-eyes country, this being the USA. With this, aside PIA does state they are a zero logging company, although it is hard to say or prove if they will ever be held to hand over any data. Until now though, they appear to have stuck by their claims and have not handed anything over to authorities. With their service, there is IPv6 leak protection as well as WebRTC leak, DNS leak, IPv4 leak protection, and in testing all of these passed without a glitch. When you start the signing up procedure for PIA, you quickly see how simple the entire process is. You click on the plan you want, followed by the payment option. You are then taken to the corresponding area to conduct the transaction. Using PayPal, you will see PIA uses the given email to create the account. One can only assume other payment options give you the choice of email to use. Next, you receive 3 emails, the first being the receipt, the second contains a link to the client installer and the third with your login details. Passwords are randomly generated, but you can change it if you so wish. You then log into the webpage and you are taken to the control panel, here you can change your password, upgrade subscription and change your email address plus a few other things. This is also the area where you find the chat option for customer support. After installing the client, you are asked to log in, you then see a list of options which are all enabled by default. If these areas you wish, or you change any, click save. All communication with the client is done from the system tray, so right click and you are given options. The interface is clean and uncluttered so easy to find what you are looking for such as changing servers. Some users have mentioned PIA not connecting, this appears to be with the latest version. With a clean install and reboot, this has cleared the problem for some users. Server switching times are rapid compared to some alternatives. Mace, as was mentioned earlier, comes along with a kill switch. Aside from that, there is no split tunnelling or any other stand out features. PIA has browser extensions for Chrome, Firefox and also Opera which allow direct connection to the VPN. The one for Chrome comes with more security and privacy options, most of which are on by default. With Australia being the primary target region, it was good to know the speeds didn’t drop to unusable levels. Other parts of Asia were very different, and connecting to the USA could see a different picture. For this reason, it is advisable to make use of the 7-day money-back guarantee to thoroughly test speeds to areas, or through services needed. Speeds although above average did vary during peak times, and between servers being connected to. This is the final area which lets PIA down. Live support should be standard, but it isn’t on offer, even though it is advertised as having 24/7 staff in North America. When sending a query by email, it took seven hours to receive a response. The chat option on the website might give the impression you are speaking to someone. However, this is a means of sending an email. This part of their service is wrongly advertised and much too slow. PIA can be a cheap solution. However, it offers basic features, Netflix is questionable, and speeds are not earth-shattering. There is also the fact the customer service is not up to par, and the company is based in a 5-eyes jurisdiction. If you are looking for a VPN which can protect you against snooping while torrenting, being able to access geo-blocked content with the fastest speeds, you can get a VPN that offers all this and more from another provider.